Our Sacred and Creative events and activities use the arts to enhance the joy of living and deepen an appreciation of life and a healthy spirituality. A regular Poet’s Corner group meets on the fourth Monday of every second month and starts in January. 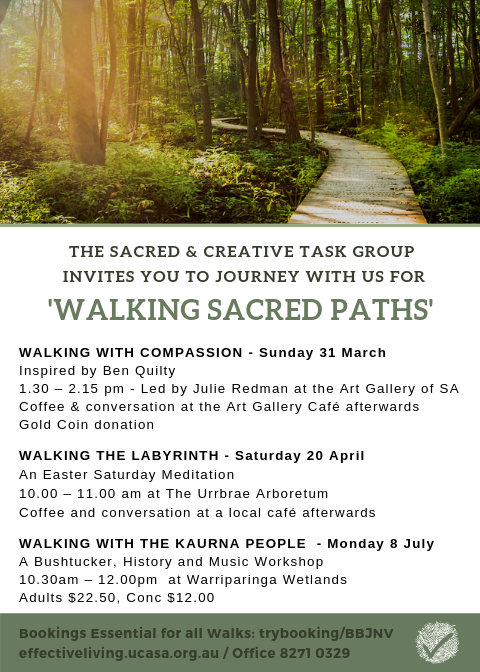 We also host an Artist in Residence each year, in addition to holding events exploring sacred and creative dimensions of life.